MESH is run by Martin Moy, who is highly experienced in health & safety and environmental management. Martin started MESH in April 2004 following an extensive career in management, more latterly in the Health, Safety & Environmental field. The move to set up MESH came after a new chairman sacked the CEO he reported to and determined health & safety to be a waste of time. This occurred at the time Martin and his wife were adopting a baby girl; not great timing but it certainly spurred him on to make a success of MESH. As well as a great determination to make MESH a nationally recognised consultancy he was able to pull together a great team of highly experienced consultants to make this happen. Over the five years before starting MESH he developed an in-depth technical knowledge of health, safety and the environment in a corporate role for a large international company, operating in a high-risk environment, covering some nine sites across the U.K. Before this he spent 8 years as a production manager so is able to see both sides of the types of production issues faced in many businesses. Working with Martin at MESH is Chris Ward who has an extensive experience in health and safety spanning some 27 years. This experience extends to providing consultancy and training to various national organisations, including large multi-site operations. These clients include various Local Authorities including Education and Social Services departments, the Kent Police Authority, Kent Fire and Rescue Service and many others. Chris spent 8 years as the national consultant to the RSPCA. Chris is an experienced lead tutor for NEBOSH Diploma, General Certificate and Construction Certificate programmes and is a NEBOSH examiner. Graham is one of the MESH consultancy team; he is based out of Hampshire and carries out noise assessments across the country. Graham has worked in the acoustics market since the early 1980s both in North America and Europe. He is a highly experienced noise consultant and includes in his experience the running of a group of companies that were ultimately owned by Rio Tinto plc, plus managing cement and concrete plants. Graham has a proven skill set that has been utilised by a number of clients to assist them with complex noise assessments across the U.K. Previously an Engineering Manager with Electrical, Instrumentation and Control bias he has broad experience within the chemical, pharmaceutical, process and food industries. Carl has over twenty years DSEAR experience across a wide range of industries; previously an Engineering Manager he has developed his skills to become one of the most experienced DSEAR assessors in the country. Carl firmly believes in the whole lifecycle approach, with safety and sustainability as core values. He is a Member of The Institution of Engineering Technology and has many qualifications to his name including various CompEx accreditations. For thirty years Phil has undertaken numerous hazardous area classification studies in order that equipment that could give rise to a source of ignition can be appropriately selected so as not to cause an explosion hazard. Phil has carried out many site surveys in order to verify that Technical Measures taken by designers have been installed as specified. This includes the correct specification of equipment, ventilation and containment, elimination of sources of ignition, gas detection, correct maintenance procedures etc. In addition to Technical Measures, he has audited compliance with Organisational Measures necessary to achieve DSEAR compliance. His process safety capabilities are best deployed as an ATEX / DSEAR Consultant. He has an MBA, BSc Chemical Engineering, is a Fellow of the Institute of Chemical Engineers and a Chartered Engineer. A highly motivated Chartered Member of the Institution of Occupational Safety & Health with 15 years’ experience working in industry practicing Quality, Environmental, Safety and Health, including 30 years’ experience working in transport, electrical & mechanical engineering industries. Comfortable working well as part of a team or on my own initiative, liaising with external bodies, clients, suppliers and sub-contractors on health, safety and environmental issues. A highly experienced H&S and compliance knowledge. Neil has assisted many businesses and has a proven track record as a good team player, with the ability to lead, motivate and train others, whilst focusing on controlling costs and improving profitability in the businesses. He also has extensive experience in the construction and associated industries. Working as a safety advisor and acting as duty holder in accordance with the Construction (Design and Management) Regulations. His skill set also covers general consultancy work and training. Now that you know more about the history and experience of MESH Consultants, you may like to find out more about our services. 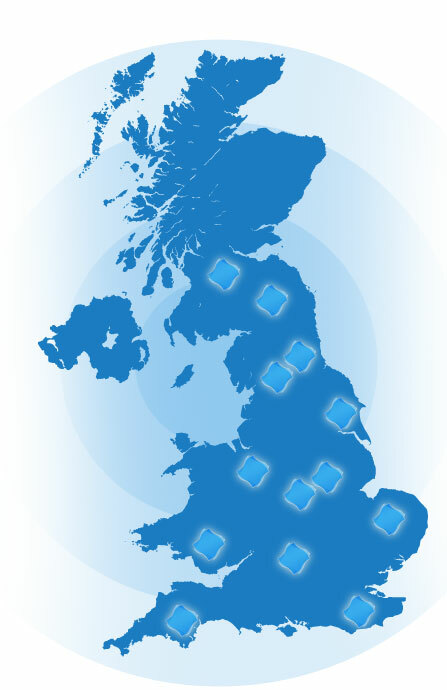 You may also be interested in the clients we’ve worked for throughout the UK and Europe. If you do have any unanswered questions, we’d welcome you to contact us and we’d be pleased to help.